Trade continuity necessary logistical background, which, in addition to transportation and material moving under the covers tasks associated with storage also. However, the latter, In the absence of our own warehouse retailers do not always have the opportunity to, Purchase as a store room or építtetése involves a lot of extra cost. In such cases, however, offers a solution to the warehousing, that cost-effectively solve the proper storage of goods, the problem. 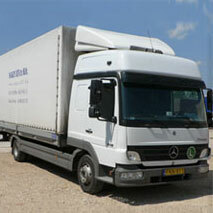 Our company provides customer service for the storage and transportation of material handling in addition to. The latter company 2007 Since the offer for customers, have access to a full range of services within the framework of its. Veszprém site in a 290 m2 and 1450 m2 closed and guarded warehouse is available to customers, which was rented as needed. The warehouse continuity of work, ensure the speed and power of modern diesel-powered trucks also. If necessary, available hydraulic hand pallet and other aids. The result of modern storage when applying our infrastructure oversize, overweight and in need of special cargo proper storage conditions is solved. In addition, we provide more rapid and precise on the goods- and unloading, as well as the greater weight of unit can be moved. The company also provides transportation of cargo in addition to the storage site's supply, whether domestic- or foreign forwarding. Upon request we provide transfers to truck. The additional storage conditions and the tariffs inquire about our colleagues.